Scarlett has never left the tiny island with her sister, Tella, who lives with their powerful, cruel and abusive father. Scarlett’s father has arranged a marriage for her, and she thinks her dreams of seeing Caraval, the far-away, once-a-year performance where the audience participates in the show, are over. To be completely honest, I was annoyed by the main character, Scarlet and her gullible, unwise choices she made in the beginning of the book. She was repetitive when believing everyone is trustworthy within the world of Carval, it was tiresome. I also came to the conclusion that perhaps Scarlet’s traits of being gullible, stubborn, and a flawed person created a sense of realistic human nature. I was also thinking to stop reading Caraval, but I completed it with enjoyment! It as felt amazing to notice Scarlet have character development from beginning to finish. I also wanted to mention Stephanie Garber’s well descriptive writing throughout the novel that made me feel included within the world of Caraval. When I finished it, I missed the magical and manipulative atmosphere Caraval left on me. I was originally going to give it 3 stars, but ended up giving it 4 stars. Caraval has it’s flaws, but it has an adventurous fulfillment in the end. Caraval has all sorts of magic, deception and tricks that is incredibly amusing! I did genuinely like this book, maybe you’ll like it too! If you love dark, deceptive, magic with suspenseful twists, and a bit of romance then this is the novel for you! 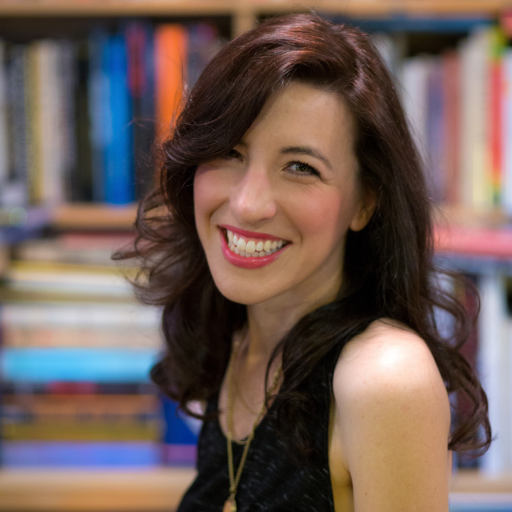 Stephanie Garber lives in Northern California, and when she isn’t writing Young Adult Fantasy, she’s teaching Creative Writing at a private college. She also enjoys Disneyland because it’s the only place on earth where she feels as if, fantastical stories she loves to write about could actually come to life. Caraval is her first novel for young adults. She also loves to hear from everyone on her social media! Are you an Author? Do you want me to review your book? Contact me at “Majesticreading@gmail.com” and I’ll get back to you soon! Previous Post Tips For Contacting Publishers Or Agents! Next Post My TBR Tag! This sounds really good, you’re review has made me wanna read it now! I’ll definitely look into purchasing it! Awww Beth, I’m glad you enjoyed my review! You should read it! It’s a good book, and I would read it again for the adventure. Another reminder that I need to go bookshopping ASAP because this one is still missing on my TBR-shelf. And then it can go from my TBR-shelf to my “Read this already”-shelf before I’ll actually read it, haha. Aww thank you Kathy!💓 Haha relatable. *Has a bunch of books not read, goes to buy more* LOL. I have been seeing a lot about this particular book “Caraval” and hearing good things about it. It reminds me a little of another book I have already read called “The Night Circus” by Erin Morgenstern. I really enjoyed that book, so I am considering giving this one a go. It has been so good so far! At first I was like ugh this character is not likable and then I got the rhythm and I have enjoyed it since. I hear ‘Caraval’ calling to me from my shelf. I hear the music play. It calls…..how much longer can I resist?? I want to read it so badly!….darn Netgalley deadlines….. If Caraval is calling you…. you MUST go!🎪🎟 It is a quite good story, but some annoying parts yet still good! Haha. Dang it Netgalley! Try OverDrive, an app that you could put your Library card into to have access to books online! It’s much better! I don’t know if I’m completely interested in this particular story, but I think I’m going to keep a watch on her future books because her writing style interests me! Maybe some of the problems you mentioned she’ll improve on. This is such a wonderful book. Definitely one of my favs of the year! Great review! I recently read this too, and Scarlett annoyed me to no end!! I couldn’t get over it. I ended up giving it 3 stars.